Launched at the Milan furniture fair in April 2006, the Drip Shelf and Puddle Table are two quirky interior pieces that will surely bring added flair to your decor. 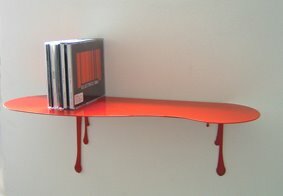 Designed by Susan Bradley, both the Drip Shelf & Puddle Table give the liquid effect of melting. 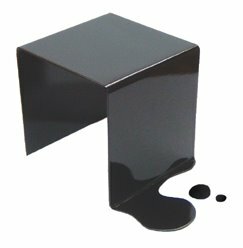 They are created from powder-coated steel and are available in a range of colors – Blood, Oil and Milk (gloss red, gloss black, and gloss white respectively). Contact Susan Bradley for additional details and ordering information.